The Series 4 is the first truly big update to the Apple Watch line. It changes everything: the display, size, the shape, the sensors, the processor, the speaker and microphones—you name it. It truly elevated Apple’s wrist-wearable to a new level, but its most exciting new feature has been missing action since the Series 4's September launch. With today's release of watchOS 5.1.2, though, that feature is finally here. Apple has given us the first smartwatch with a built-in electrocardiogram (ECG) feature (and they say Apple doesn’t innovate anymore!). 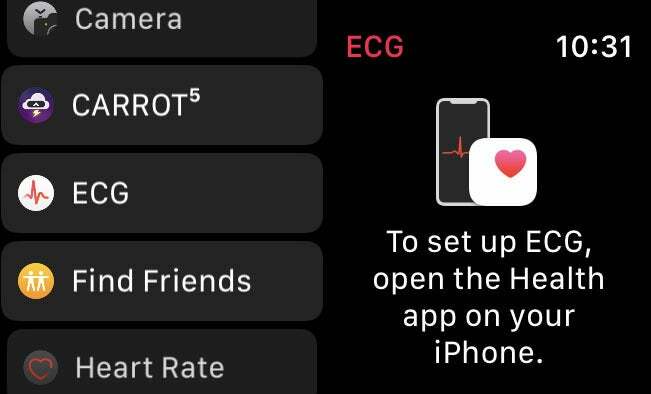 Here’s what you need to know about ECG on the Apple Watch Series 4. 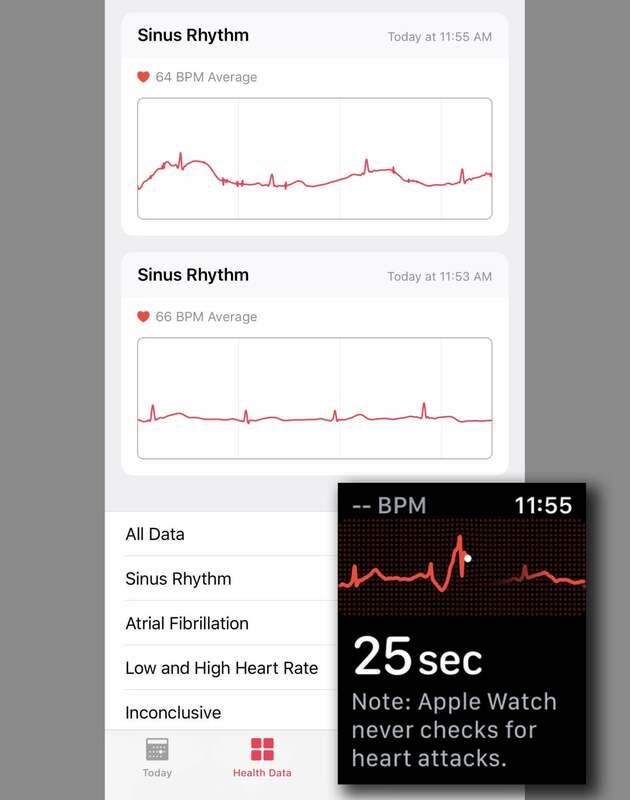 Once you have updated your Apple Watch Series 4 to watchOS 5.1.2, you’ll notice there’s a new ECG app. The first time you run that, you’ll be prompted to open the Health app on your iPhone. The first time you launch the ECG app, you’ll be prompted to complete setup on your iPhone. 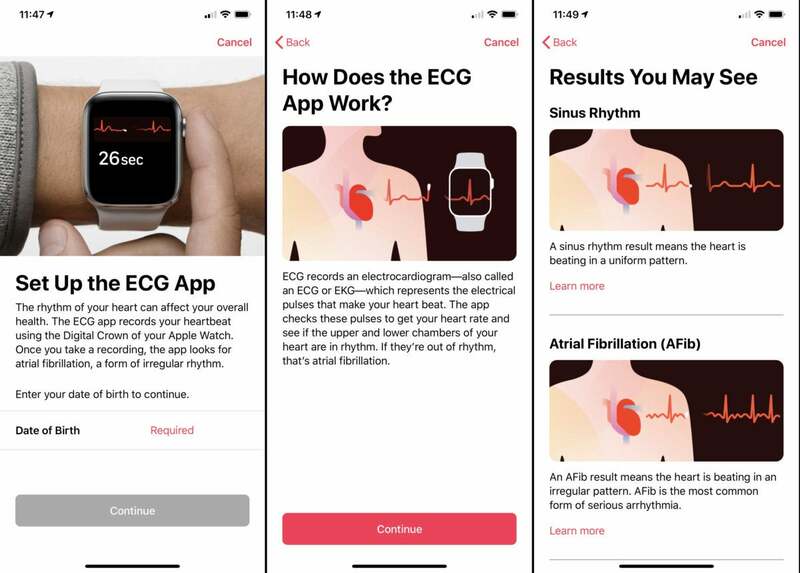 In the iPhone app, you’ll be prompted to set up the ECG app by entering your age, as the app is not approved for use by people under 22 years old. You’ll then pass through several screens describing the kinds of results you may see: Sinus Rhythm, Atrial Fibrillation, Low or High Heart Rate, or Inconclusive. After passing through several more screens with explanations and warnings, you will be prompted to take your first ECG. The initial ECG setup process on your iPhone explains the results and warns you about the limitations of the Apple Watch ECG. To take the ECG, first make sure your Apple Watch is snug—a loose band can cause a bad reading. The open the ECG app on your Series 4 Apple Watch. When you see the cloud of dots form a heart, touch your finger to the digital crown and hold it there for 30 seconds. You’ll see a countdown on your watch. At the end, you’ll see a summary showing what kind of rhythm was detected, and a notification on your iPhone to see more detailed results in the Health app. After taking your ECG reading for 30 seconds (inset), you’ll find detailed results in the Health app on your iPhone. While the ECG feature is indeed slick and useful, you should keep a few things in mind. 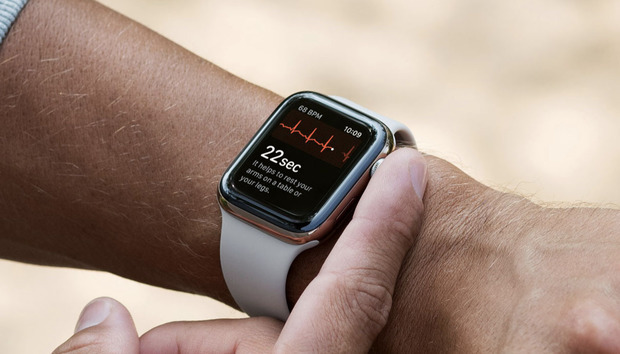 The ECG app only appears on Series 4 Apple Watches in the United States and U.S. territories because it has been given clearance by the Food and Drug Administration. Apple says it is working with other regulatory agencies around the world to bring the feature to other regions, but has given no indication as to when that might happen. Some users in countries outside the U.S. report success enabling the feature by simply changing their watch’s region. To do this, open the Watch app on your iPhone, tap General, then Language & Region, and set your region to United States. You may have to restart your Apple Watch afterward by pressing and holding the side button until the Power Off slider appears, and then sliding that. Then press the side button again to start it up. These results are not a diagnosis. Do not change any medications or treatment without talking to your doctor. If you receive a warning about an irregular heart rhythm or rate, you should make a doctor’s appointment to get a proper exam. The ECG app does not detect a heart attack, blood clots, a stroke or other heart-related conditions including high blood pressure, congestive heart failure, high cholesterol or other forms of arrhythmia. Do not assume that good readings from the Apple Watch ECG app means that nothing is wrong. If you suspect you may have any sort of heart problem, you should contact your doctor for proper tests and diagnosis.